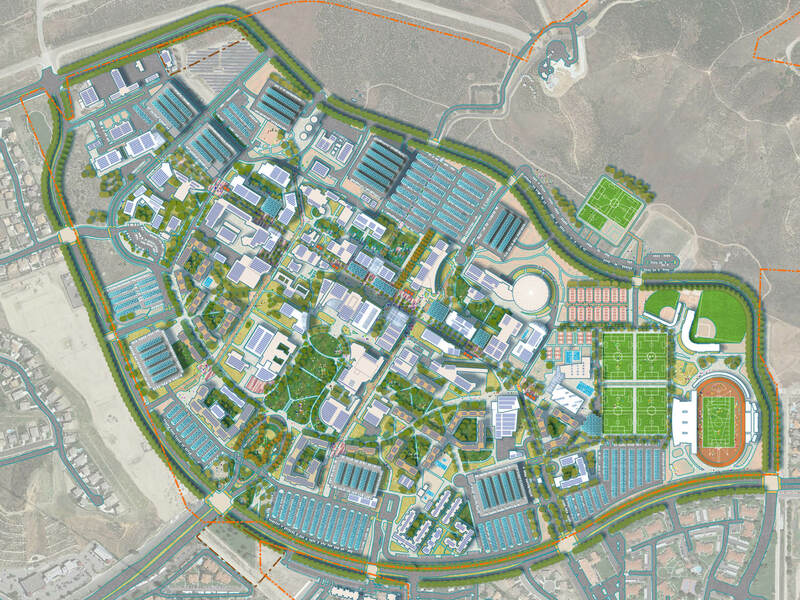 The master plan for the California State University, San Bernardino was initiated by the University in response to increasing enrollment growth over the last several years, pressing needs for near-term academic space and the desire to create a full service 24/7 University campus. 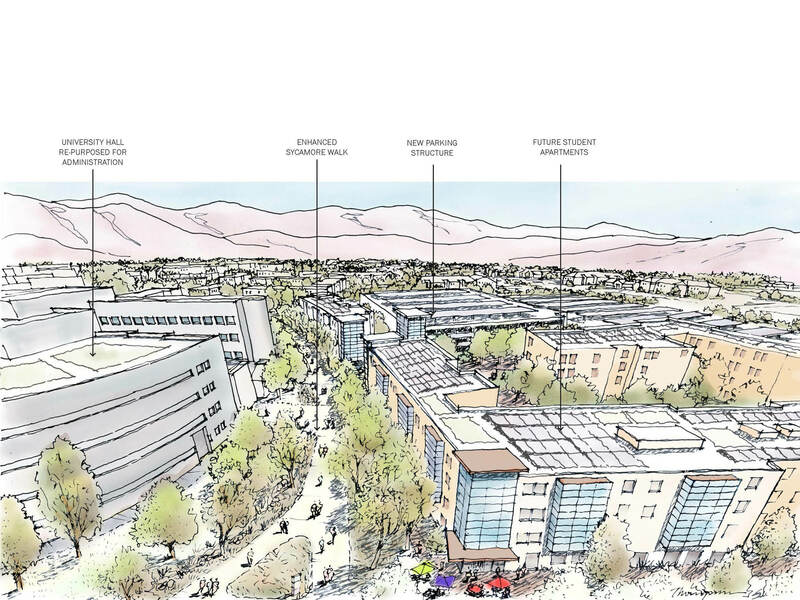 The master plan focuses on accommodating enrollment growth from 14,000 FTE to 25,000 FTE; increasing on-campus student housing and dining facilities to reinforce a 24/7 campus environment, and enhancing the existing landscape along with other sustainability initiatives to provide a more sustainable campus environment. 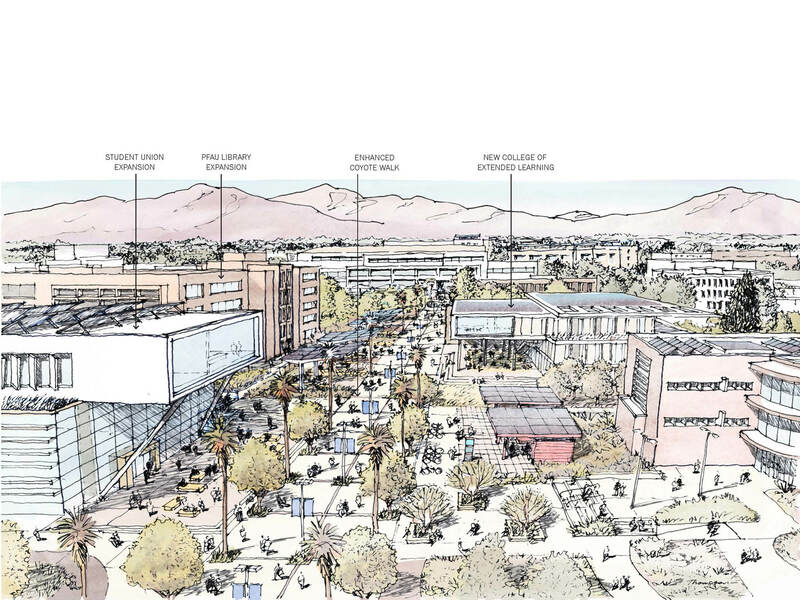 The plan establishes a series of distinctive mixed-used precincts with academic developments concentrated along the “Coyote Walk,” providing a resource for student and faculty interactions. Academic buildings have been planned to contain multiple uses and offer maximum flexibility to allow for fluctuating enrollment patterns and changes in pedagogy emphasizing shared interdisciplinary academic spaces. New student housing villages are planned along the second major pedestrian pathway “Sycamore Walk,” creating a residential neighborhood integrated into the campus core to encourage a more 24/7 live, study, play environment. 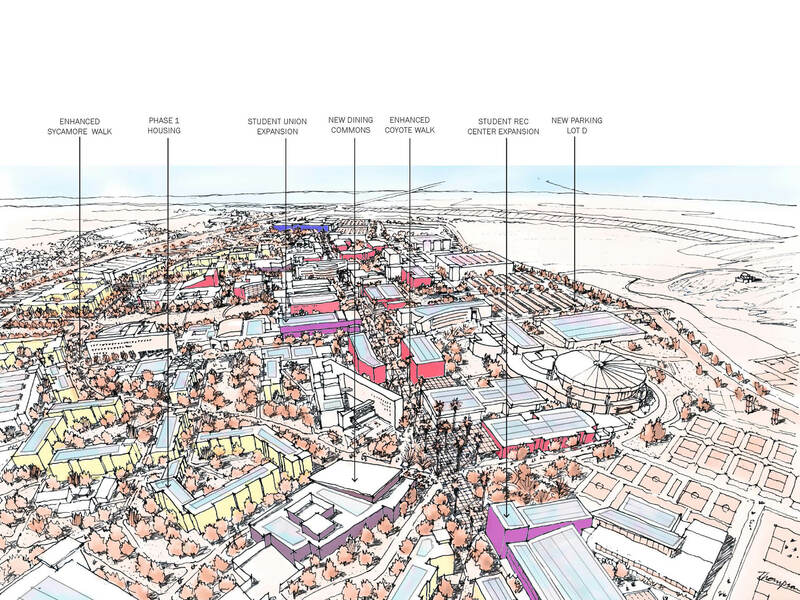 The plan introduces landscapes zones as corridors and spaces that protect pedestrians from extremes of sun and wind and replaces vast open turf areas. New courtyards and greens are organized along campus “urban” trails to incorporate mountain vistas. Features such as expanded use of photovoltaic systems, high-performance building envelopes and bioswales, and a drought tolerant landscape plant palette have been incorporated to achieve sustainable development based on water conservation, energy independence and community resilience. 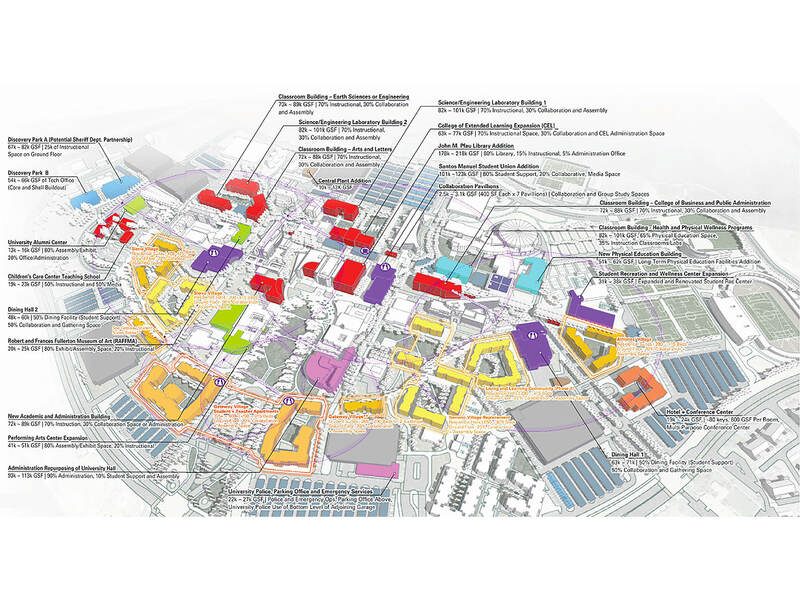 The plan also addresses campus accessibility issues with a goal to reduce vehicle intrusion on the campus while better locating pedestrian and bicycle facilities. 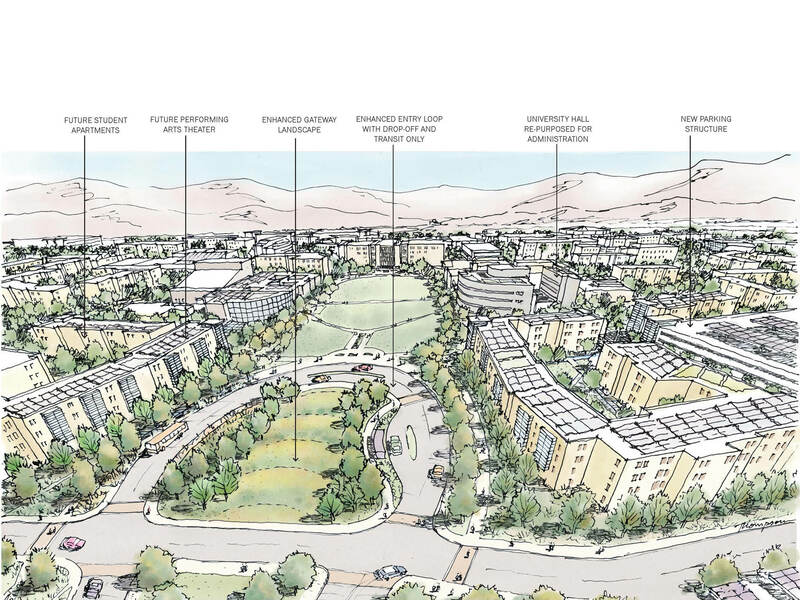 The CSU San Bernardino Master Plan received the Urban Design Award from the American Planning Association, Inland Empire Chapter.